Nordic Knitters is the brand of Estonian company OÜ Kagu Kudujad. 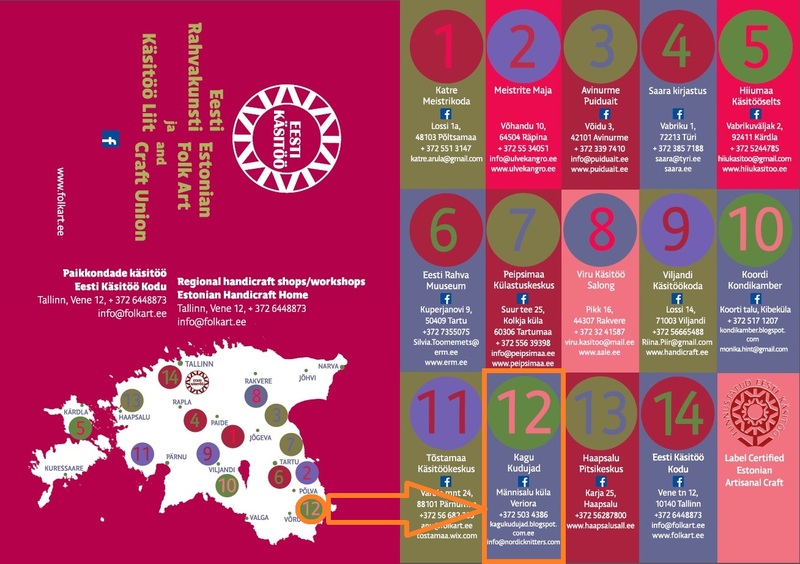 The brand was chosen to represent South-East of Estonia in all over Estonia Handicraft MAP and Welcoming Center. Please come see us!